Are you ever short on time but need to come up with a delicious dessert? Well this will be your go to recipe. I m Bosnian, so we have company show up (unannounced, or with very short notice) all the time, so over years I found recipes that I can make with things I would have around the house (thank you Pinterest!) 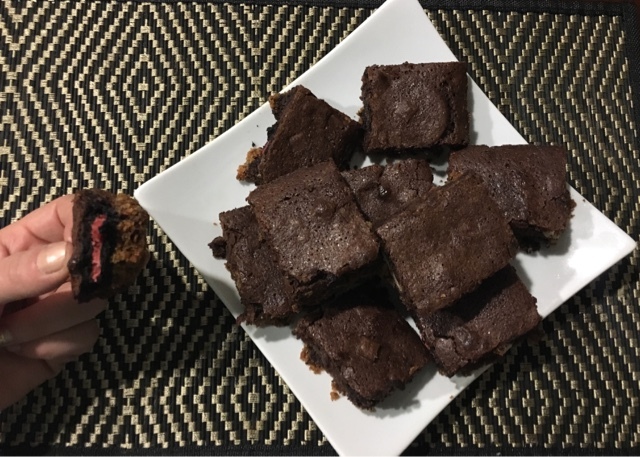 This (random) mix of treats make for a delicious brownie that is always a hit. You can serve it warm with ice cream or as is. I originally made this with Oreos, brownie batter and chocolate chips and evolved it over time. In theory this recipe should work with any cookie but my house is always stacked with oreos so this is what I make it with. 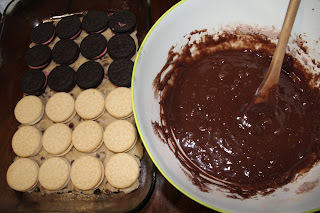 This time, in spirit of holidays I did half the brownies with Oreo candy cane. Directions: layer cookie dough, Oreos, mix brownie according to direction on the box, and pour over Oreos. Bake at 375 for 15-17 minutes.